The Islamic State of Iraq and the Levant (ISIL) stoned to death a young Syrian girl for membership in Facebook social network. The ISIL militants took the Syrian girl, Fatoum Al-Jassem, to Al-Reqqa religious court and the judge ruled that membership in Facebook is tantamount to adultery and sentenced her to death by stoning, the Arabic-language Al-Rai Al-Youm reported. Also in the past 24 hours, the Popular Front for the Liberation of Palestine-General Command (PFLP-GC) announced that all foreign-backed militants who were stationed in Yarmouk Palestinian refugee camp in Southern Damascus have withdrawn from the camp. “The terrorists groups of Al-Nusra Front and Ibn Timieh and Al-Sahaba Battalion have withdrawn from Al-Salasin Street which was their last bastion in Yarmouk camp,” PFLP-GC’s Politbureau Chief Hessam Arafat said. He noted that a team comprising 50 renowned political figures will enter Yarmouk camp on Wednesday to force the Palestinian armed forces who have occupied the military bases and centers that the foreign-backed terrorists have withdrawn from in a bid to pave the way for implementation of other clauses of the Yarmouk agreement. Meantime, the foreign-backed militants also withdrew to Al-Rijjeh square in Damascus after the implementation of the national reconciliation agreement in Yarmouk camp. Elsewhere in the country, the Islamic Front terrorist group held 30 ISIL militants in Deir Ezzur in Eastern Syria. Now the Islamic Front has found an upper-hand in the combat against the rival group, ISIL. Elsewhere, the ISIL besieged the gathering centers of the Al-Nusra Front and two terrorist groups of Ahrar Al-Sham and Katibeh Al-Qaqa in Eastern Syria. 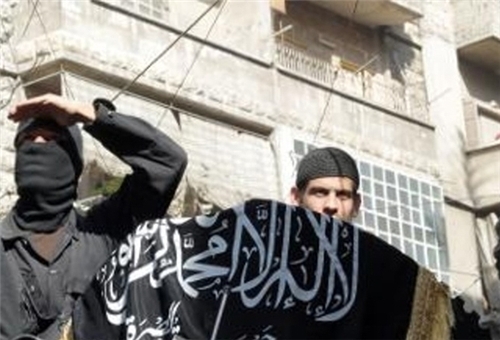 The besieged militants of the Al-Nusra Front have been left with only two options of death or surrendering to the ISIL. Syria has been experiencing unrest since March 2011 with organized attacks by well-armed terrorists and militants against the Syrian army and civilians across the country. In October 2011, calm was almost restored in most parts of the Arab state after President Assad started a reform initiative in the country, but Israel, the US and its Arab allies brought the country into chaos through every possible means. Tel Aviv, Washington and some Arab capitals have been staging various plots in the hope of increasing unrests in Syria. The US daily, Washington Post, reported in May, 2012 that the Syrian rebels and terrorist groups battling Assad’s government have received significantly more and better weapons in recent weeks, a crime paid for by the Persian Gulf Arab states and coordinated by the United States. According to the report, material was being stockpiled in Damascus, in Idlib near the Turkish border and in Zabadani on the Lebanese border. Reblogged this on Solidaritate Pentru Siria.